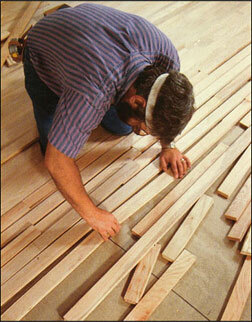 3) Hardwood flooring (pre-finished only). Services may also include various home repairs(Plumbing, Electrical, Drywall, Carpentry) if a specific project relating to a floor project such as a bathroom renovation requires it. Full liability insurance is provided through Nationwide insurance and verification can be faxed/emailed from their office. Estimate the total cost of your project online. Visit the Estimate pages & enter the width, length and cost of material per square foot to generate a total project cost.